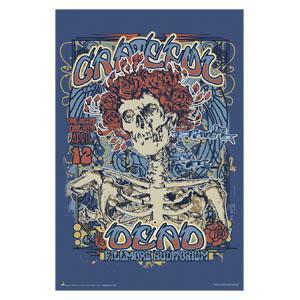 This Grateful Dead poster has the "Bertha" Skeleton & Roses image and it commemorates the April 12, 1970 Fillmore West Concert. The poster measures approximately 24" x 36". It would look great on your wall. Officially licensed Grateful Dead merchandise.